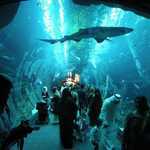 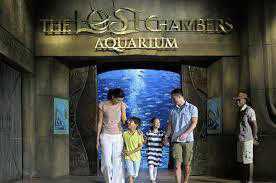 Enter to The Lost Chambers Aquarium at Atlantis The Palm in Dubai. 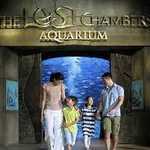 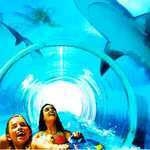 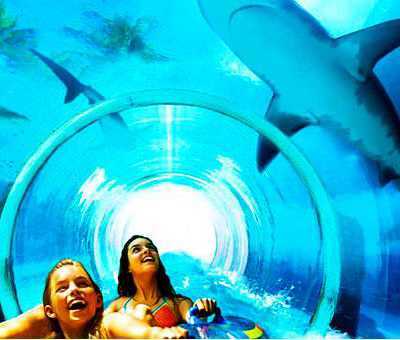 Explore the Atlantis-themed lagoons and chambers filled with more than 65,000 marine creatures. 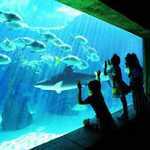 See an impressive range of sharks, exotic fish and rays. 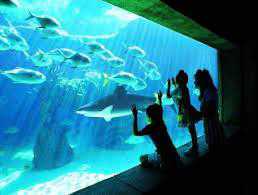 Learn about the workings and technology of the aquarium on a tour Opt to enjoy a range of special experiences such as scuba diving and watching ray feeding, if you wish.